HarperVoyager Authors at #TwitterFiction fest! We’re super excited to have our authors rep at Twitter’s awesomely innovative and interactive #twitterfiction festival! 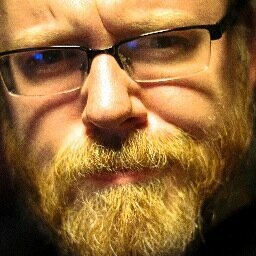 Chuck Wendig, author of the upcoming novel ZER0ES, will be on tonight, May 12th at 6pm EDT! We are all connected. Our lives and privacy bound to our devices, devices that talk to one another, devices that know us better than we know ourselves. And as a result, we are all vulnerable. Emergent from the shadows of our unlimited connectedness arises a mysterious figure. And congratulations! It has selected you to have a conversation. To receive a warning. You are vulnerable. It wants to speak to you. Will you listen to what it has to say? Will you be selected? Will you heed its warnings? 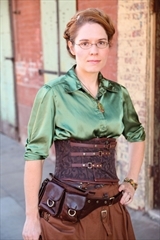 Tomorrow (5/13) Beth Cato, author of The Clockwork Dagger and the upcoming follow up The Clockwork Crown, will take over at 2 pm EDT. Here’s a bit more info on Beth’s #twitterfiction foray! @BethCato seeks out the magic and mystery of the everyday as she alternates between evocative fantasy and science fiction poems and short stories. She encourages other writers & artists to use her #TwitterFiction to spark their own creative works.